To an ISTJ, work is a serious business that deserves all of their focus and energy. This isn’t a bad thing for this type, instead it’s a source of comfort and stability for the ISTJ, who needs these qualities above all. This makes most ISTJs very dutiful and dedicated workers who do their work and don’t make trouble in the workplace. ISTJs enjoy strict structures and routines in their workplace. This type uses introverted sensing as their dominant and extraverted thinking as their auxiliary. This combination means that they’re usually dedicated to getting tasks completed in whatever way they’re been told to do it or in the way they did it in the past. Introverted sensing is their dominant, the filter through which they see the world. It judges things based on a natural respect for authority and for structures, guidelines or rules that were handed down from the past. So an ISTJ will rarely if ever question their boss on how things should be done. They tend to assume that ideas and routines from the past are the only right way to do things. And their extraverted thinking auxiliary drives them to complete things quickly and effectively using these filters before they move on to the next task. ISTJs usually really like being part of a traditional workplace, more than any other type. They like the schedules and routines and they like the history of the place, know that it’s lasted through time. They like the clear expectations and the fact that there’s very little question or flexibility about their role and duties in the company. This kind of rigid organization may be too restrictive for other types, but to ISTJs it’s precisely what they want from work. And it’s organized. ISTJs are judging types, which means they prefer this kind of organization in their external world and often feel unsettled and anxious without it. ISTJs also don’t like change and they’ll usually avoid it as much as possible. This applies in their professional life as much as it applies in their personal life, which means that most ISTJs will rarely change workplaces or careers unless it’s absolutely necessary. To this type, the kind of uncertainty that comes from a new environment, a new boss, and new workmates is far more stressful than any stress they might experience in their current position. And because of this ISTJs are likely to stay in one job over the long term, even if they’re unhappy in it. ISTJs are unlikely to become the target of bullies, though they can sometimes end up bullying others. This type is blunt and straightforward in the way they talk and not very emotionally aware. Sometimes this leads to them saying things that hurt others or using their forceful personality to push people around. This is especially true if the ISTJ believes that someone at work isn’t living up to expectations, whether those expectations are their own or part of their workplace. ISTJs are often very rigid about the need to meet expectations and fulfil their responsibilities, and if someone else doesn’t do that, the ISTJ will let them know, bluntly and often. They may see this as an attempt to help the other person, but it usually doesn’t seem that way to anyone around them. ISTJs are usually very productive people. Their auxiliary function, extraverted thinking, excels at creating systems that make work run more smoothly and they bring these skills to their workplace. They allow ISTJs to juggle a lot of projects all at the same time and to manage them all with a practical ease that few other types can match. ISTJs also like to take on a lot of responsibility, more than other types would like or could manage, and will usually use their extraverted thinking to ensure that they meet all of the demands of each of their roles. ISTJs are very good when it comes time to follow through on ideas. Other types may like to come up with new ideas, and then move on to something else once they get bored, but ISTJs hardly ever do this. Things get completed by ISTJs, it’s a point of pride with them, and so they’re usually the ones to see ideas through to the end and take care of all the minutia that this involves. To an ISTJ, this kind of practical and detail orientated work comes naturally and is rewarding, and they are meticulous and patient when it comes to this side of their responsibilities. ISTJs can be quite hard to approach. They just aren’t that interested in talking or making friends in the workplace and often see these kinds of activities as a waste of time, especially because they could be doing more work in this time. As a result, other workmates usually respect the ISTJs ability to get things done, but find them a little uncomfortable to be around. And most ISTJs don’t mind that. They see work as a place to work, and prefer to get their social needs met in other environments where it’s more appropriate. ISTJs aren’t usually very creative people. 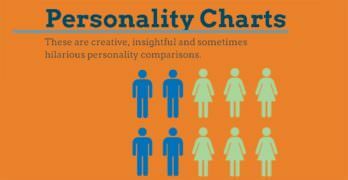 This doesn’t apply to all ISTJs of course, any personality type can be creative, but generally speaking this type are usually too practical for that. They have an aversion to innovation as well as a strong attachment to past ways of thinking and doing things that means that creative ideas aren’t taken well by this type. Most ISTJs will need a lot of encouragement before they accept a new idea and even longer before they use it themselves. They’re also not the best at coming up with new ways of doing things and this is better left to more flexible and creative types. ISTJs respect the traditions attached to work and enjoy the sense of stability and worth that it brings to their lives. 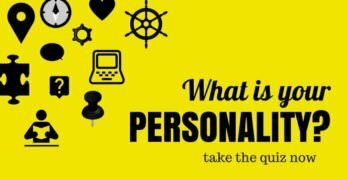 People of this type are often very like the stereotype of the worker who works for one company throughout their lives, and most ISTJ would see this career path as a very suitable and fulfilling one. Baruah, Gurleen. “Understanding Introverted Sensing Types: ISTJ and ISFJ“. Mar 28, 2017. (Retrieved Apr 2018). Storm, Susan. “How You Use Extraverted Thinking – Based On Its Location in Your Function Stack“. Jan 20, 2017. (Retrieved Apr 2018). “Tactics: Judging vs. Prospecting“. (Retrieved Apr 2018). “The ISTJ as an Entrepreneur“.